You can do a lot of plyometric exercises with just your own bodyweight. However, at some point, you are going to need a plyo box in order to progress your training. 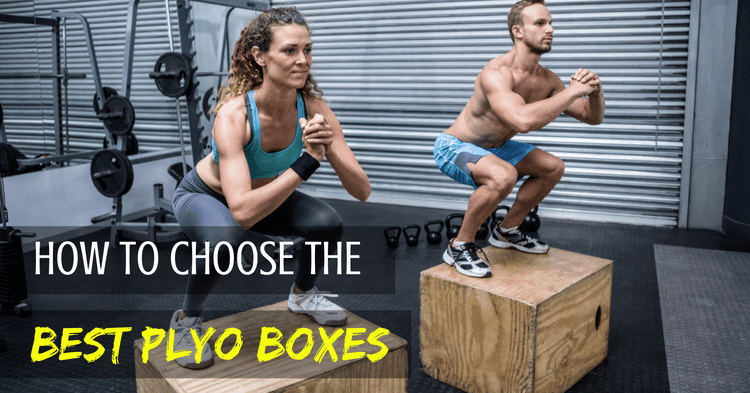 There are actually a lot more types of plyo boxes out there than you might think. Here’s what you need to know about type and size in order to get the best plyo box for your workout. While it may be tempting to get a more advanced plyo box, you should always start with a small size. You need an easier plyo box so you can learn good form. Only once your form is mastered should you progress to a larger plyo box. Small plyo boxes are also great for conditioning. Since they are easier to jump onto, you can workout on them for a much longer time and get that cardio burn you need. Don’t feel bad about starting with a small plyo box. The only one you are competing against is yourself! A lot of people go for the 24” and 30” plyo boxes because they fit the Crossfit RX standards. Unless you are competing professioinally though, I wouldn’t worry too much about these standards. As Ryan O’Donnell explains here, standards can be problematic because they don’t care about technique. This can be a safety and a fitness issue. Always start with a small plyo box size that you are comfortable with. Don’t try to meet arbitrary standards! These are the most basic plyo boxes. They are basically a rectangular box with each side measuring differently. You’ll usually find these plyo boxes in the following dimensions: 12x14x16”, 16x18x20”, and 16x20x24”. Edges of boxes HURT on your shins! These are the plyo boxes that you will probably find at professional gyms. They are made out of a heavy-duty metal and have rubberized tops and bottoms to prevent slipping. These are a newer type of plyo boxes. They are made out of high-density foam blocks. The blocks can be stacked onto each other with Velcro straps to adjust the height. The idea is that the foam prevents shin injuries and also takes some of the impact off your joints when landing. I personally am not a fan of these, hence why none made it to the best plyo box reviews section. While it is nice not to bang up your shins, foam plyo boxes don’t feel very stable. I like having a hard surface to land onto! The foam plyo boxes are also really expensive and start to wear down quickly. If you can afford to replace them, then foam plyo boxes might be worth considering. These are another newer invention in plyo boxes. They basically look like metal stools. Some adjust with pins that hold the legs up. Others adjust with legs that can be put into different positions. The initial price of these plyo boxes can be pretty high, but they are the most versatile and practical for the home gym. 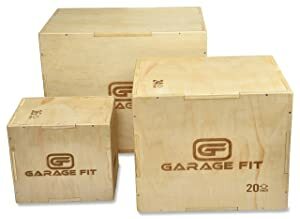 The plyo boxes by J/Fit come in single sizes of 12, 18, 24, and 30 inches. You can choose to buy them individually or as a set. As far as fixed-size metal plyo boxes go, these ones are virtually indestructible and designed very well. 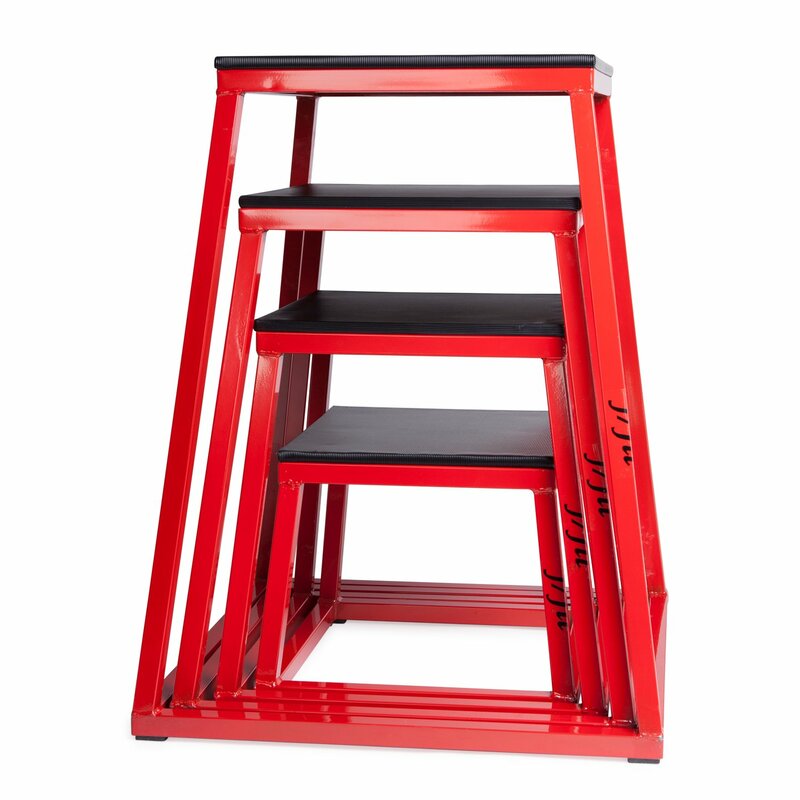 The slanted sides help reduce injury and you won’t feel any wobbliness thanks to the sturdy bases and rubber stoppers. Buy If: You are serious about plyos and want a professional style metal jump box set. The plyo box by wood comes in four different sizes: 12x14x16, 16x18x20, 16x20x24, and 20x24x30 inches. As you’d expect from a cheap plyo box, this isn’t anything special. 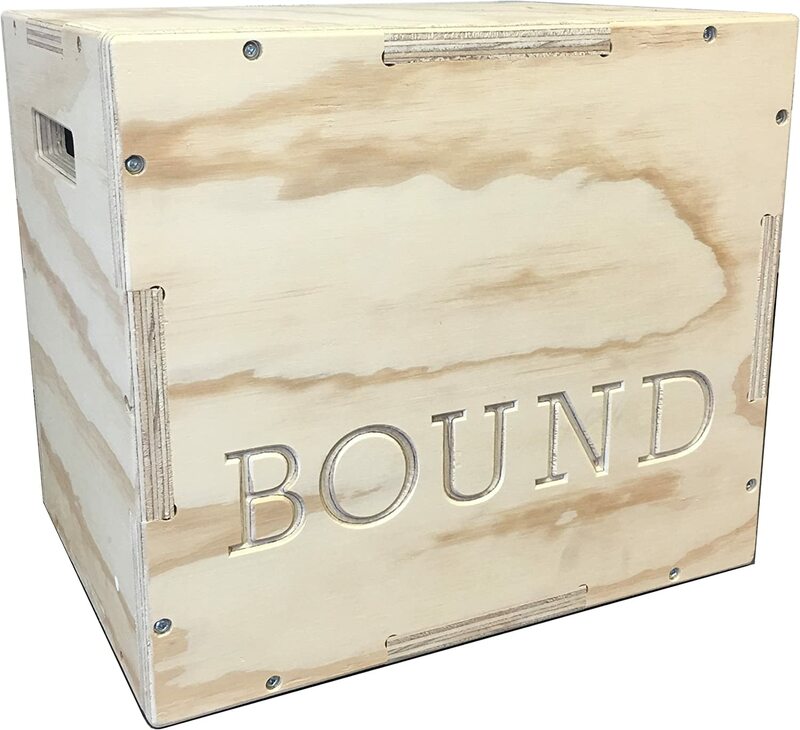 However, its puzzle-piece construction means it holds more weight than most other plyo boxes and has internal bracing for added sturdiness. That’s why this wooden plyo box holds up to 400lbs where others max out around 250lbs. 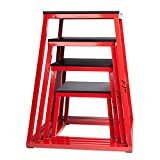 Buy If: You want a cheap plyo box that won’t break on you. 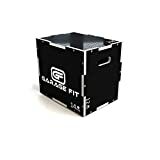 This plyo box from Garage Fitness is almost exactly the same as the one listed above. It also has a puzzle-piece construction with internal bracing for extra support. The plywood is also ¾ inch and requires some basic assembly. The plyo box reviewed above holds more weight (400lbs vs. 350lbs). However, this one by Garage Fit has rounded edges. They still hurt like hell when you bang your shins on them, but not as nearly as bad as a wood box which hasn’t been smoothed out. The plyo box sizes are: 12x14x16, 16x20x24, 18x20x24, and 20x24x30 inches, which is a bit different than the standard and gives you a pretty good range of sizes to choose from. Buy If: You want a wooden plyo box with non-standard size options. As someone who lives in a small apartment, I really love this plyo box. It looks like a stool (and it doubles as one when not being used for training). It easily adjusts to sizes of 12”, 16”, 20”, and 24”. Regardless of the height, the box feels very stable and sturdy. 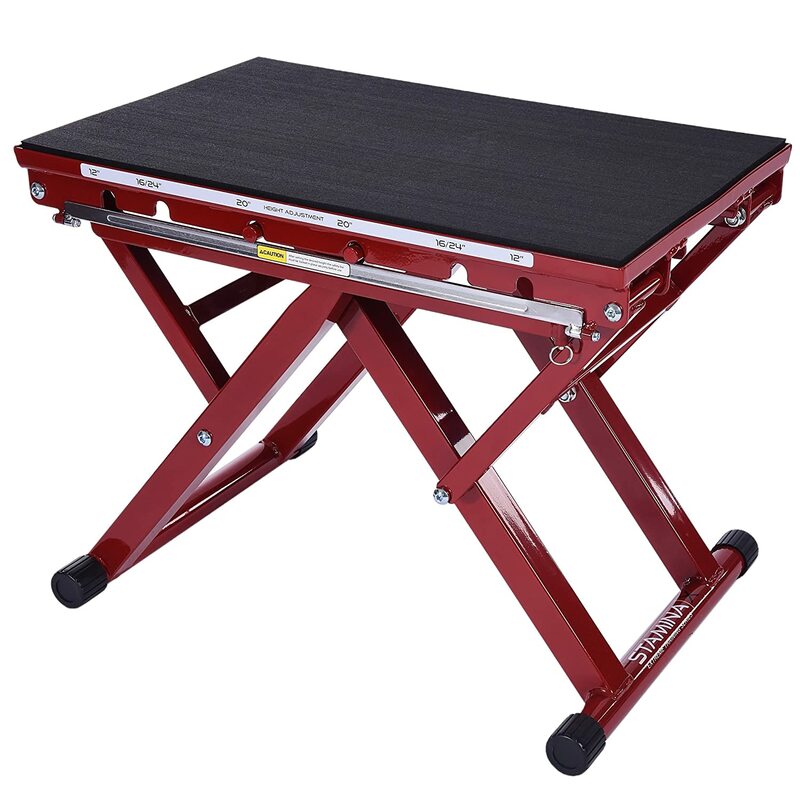 Its rubberized top even has a bit of cushioning so it isn’t so hard on your knees. No wonder the plyo box has almost only perfect reviews! Buy If: You hate wooden plyo boxes and want an adjustable metal plyo box which won’t take up too much space. Most adjustable metal plyo boxes cost a fortune. 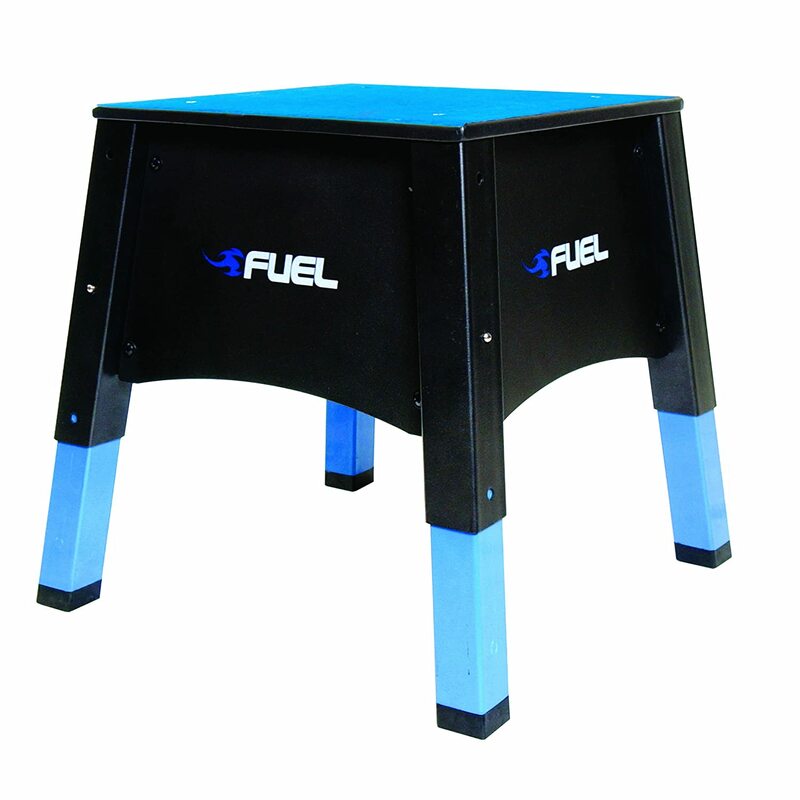 This one by Fuel Performance is quite affordable, especially considering that you are getting three sizes (14, 8, and 22 inches) in one compact piece of equipment. The plyo box is definitely sturdy. It doesn’t list a weight limit, but reviewers weighing over 250lbs said they had no issues with the box. For such an affordable plyo box, of course there are some downsides. The landing surface is small, the aesthetics aren’t great, the non-slip surface isn’t cushioned, and there is a big learning curve to go from the 18” size to the 22” size. Buy If: You want an all-in-one metal plyo box without spending a lot of money. If you are just getting started with plyometrics, then choose a cheap wooden plyo box. 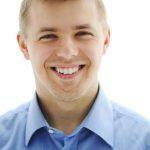 The three sizes offered should be enough for you to progress with your training. 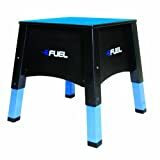 If you have a bit larger of a budget and are serious about plyos, then go for the Stamina X adjustable height plyo box. It is damn near perfect and barely takes up any space in your home. Until you want to clear 30”, you won’t have to buy another plyo box again.